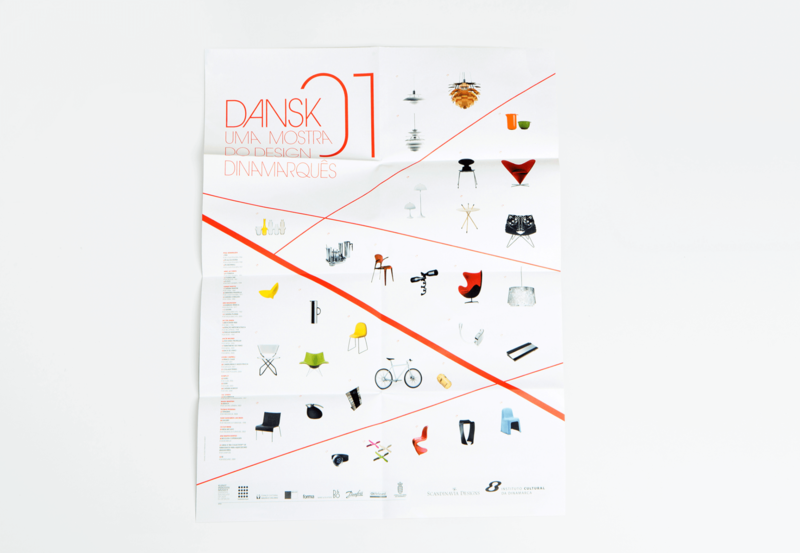 90 years of Danish Design. 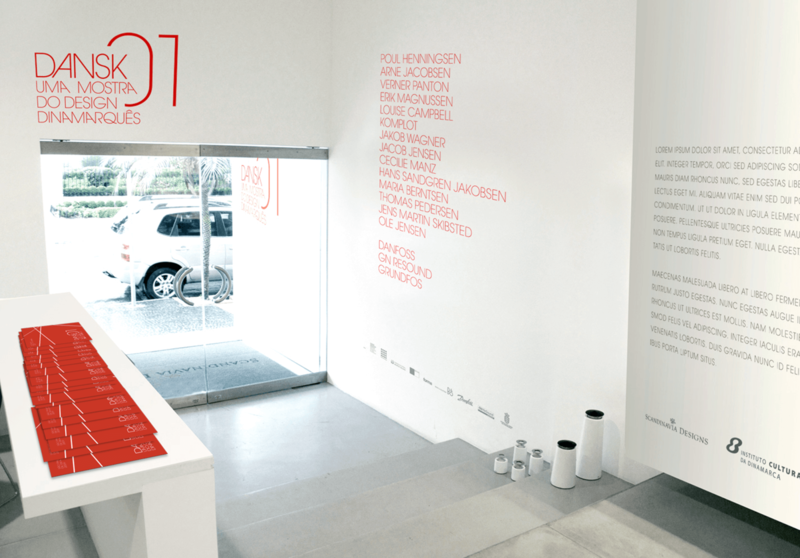 Exhibition Space Design, Visual Identity and Publication. 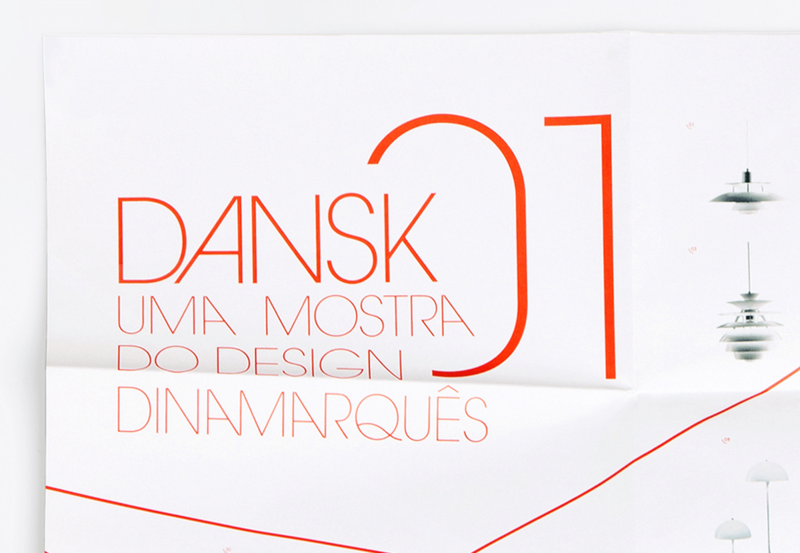 How to present the work of 15 Danish Designers from the 1920 until nowadays in one exhibition? 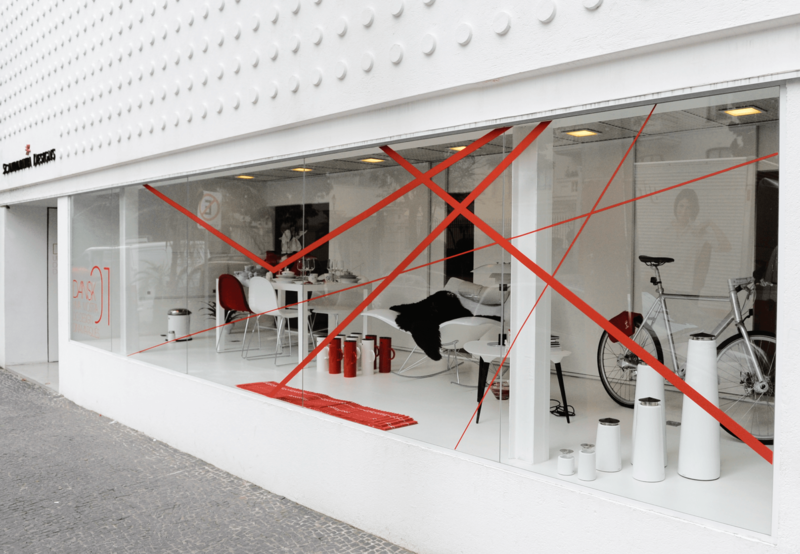 The red tread was the concept that connected these people in space and time. It is a typical Danish expression to underline the common points between different subjects. 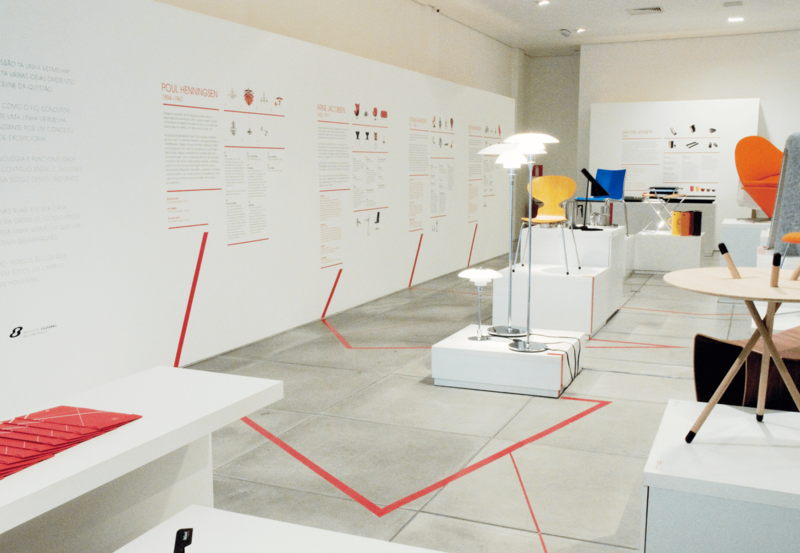 We created the exhibition space design, the visual identity, and the posters. 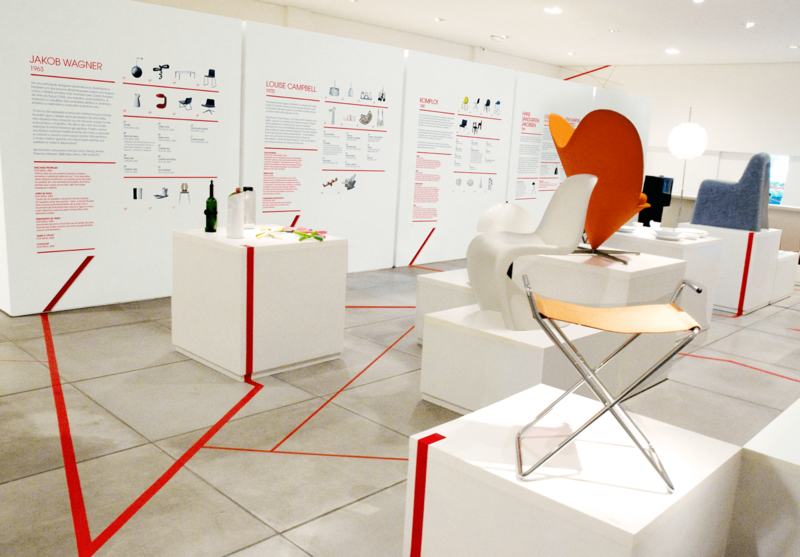 We designed standing walls where each designer had a space at for presenting their history, then a red thick line would connect their wall to their podium at the center of the room, where we displayed a few products. 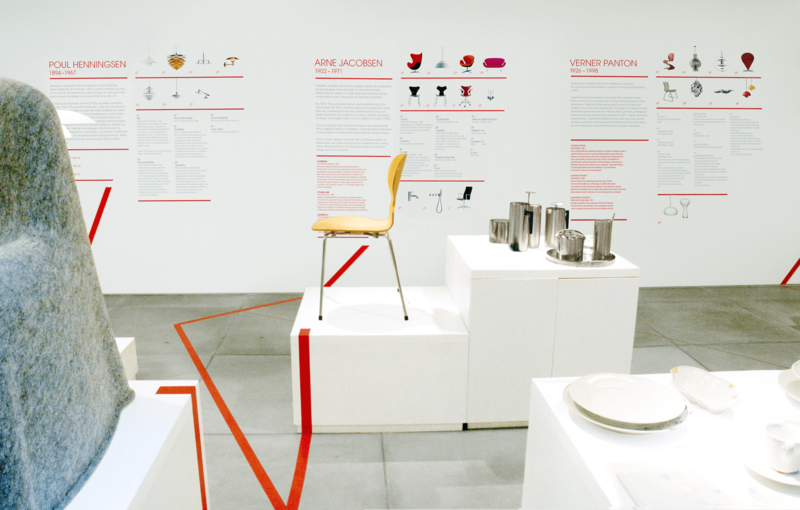 There were also thin lines that connected one designer to another, those were representing the influences that one designer would have in another. 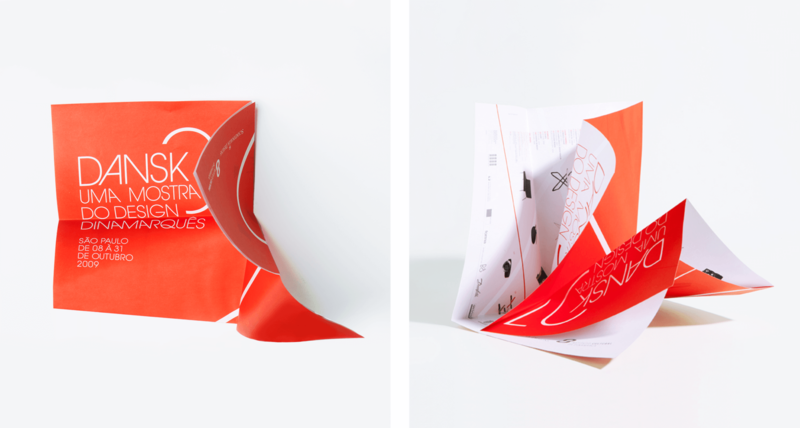 The poster was made double sided and follows the exhibit's identity. 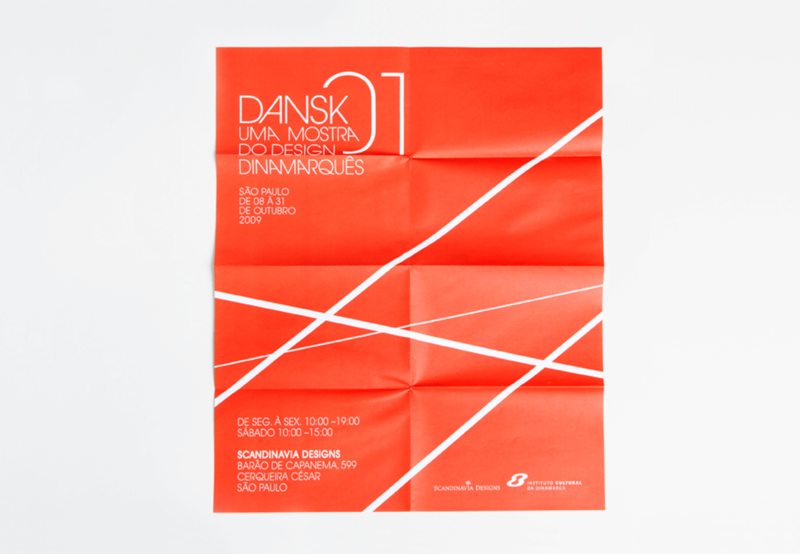 On the red side we communicated the event and made a connection between the Danish flag and the exhibition's identity with the lines. This side was used to spread out the message in universities and cafes. 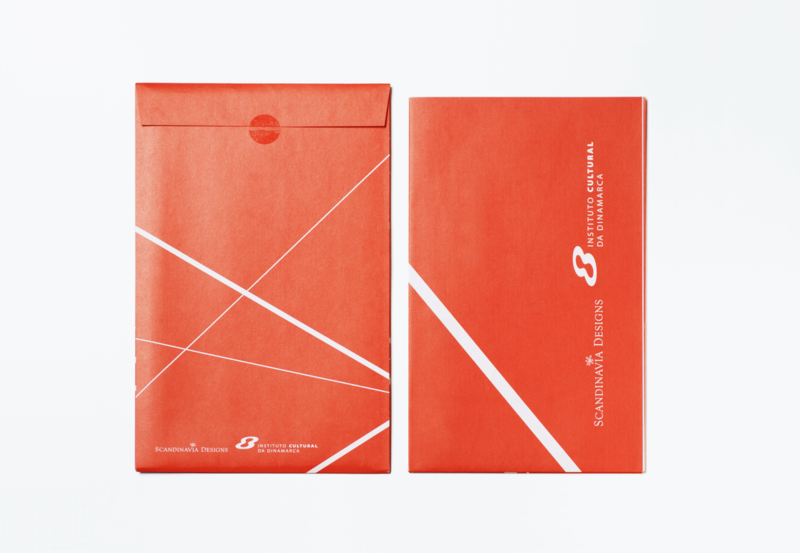 The white side had the exhibition's summary and was handed out folded inside a little envelop that contained some other sponsor's material.